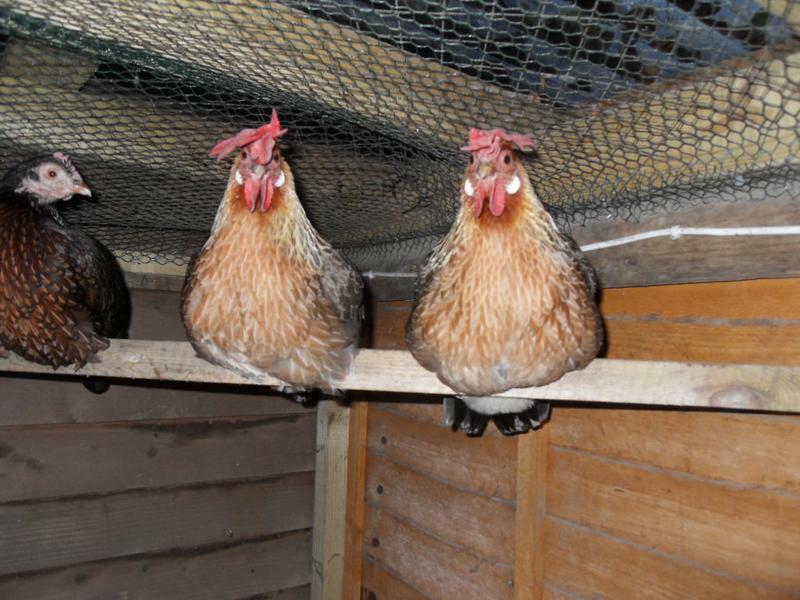 Meet my flock of delightful bantams. I added the girls two at a time then three at a time then two single girls then five in the order shown below. If you would like to see how my flock evolved from my start of chicken keeping to my current flock you can read “The history of my flock part one” and “The history of my flock part two“, which is more recent. Honey is on the left and Amber on the right. 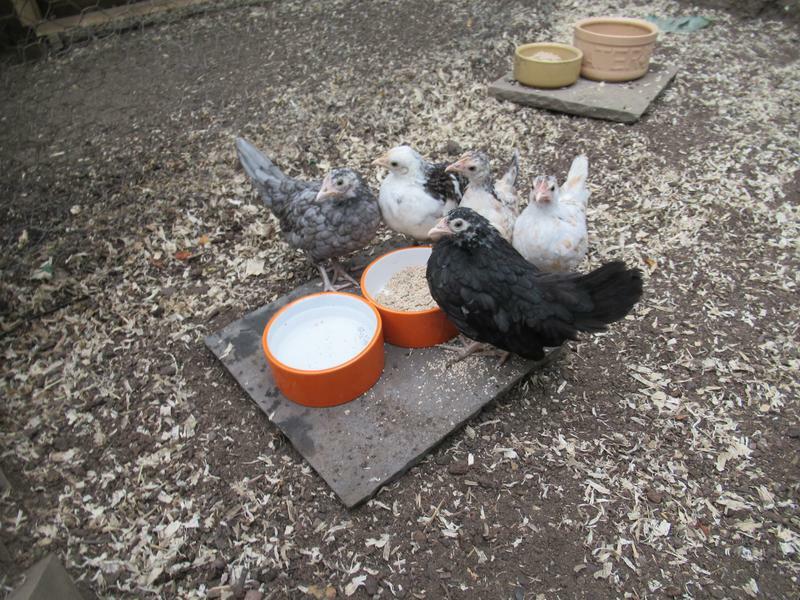 These girls are bantam vorwerks and were my first bantams. Amber was third in the pecking order and Honey was fourth. 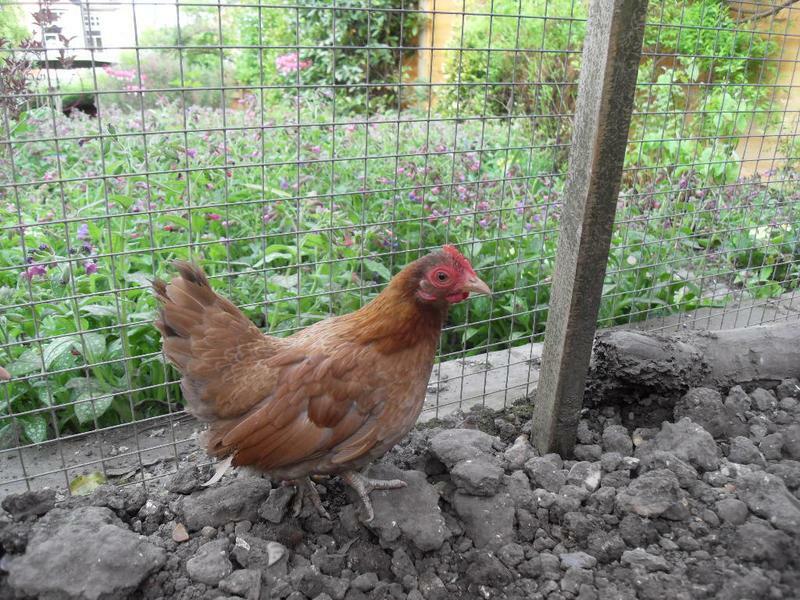 Topaz is a bantam gold laced wyndotte and became head girl. 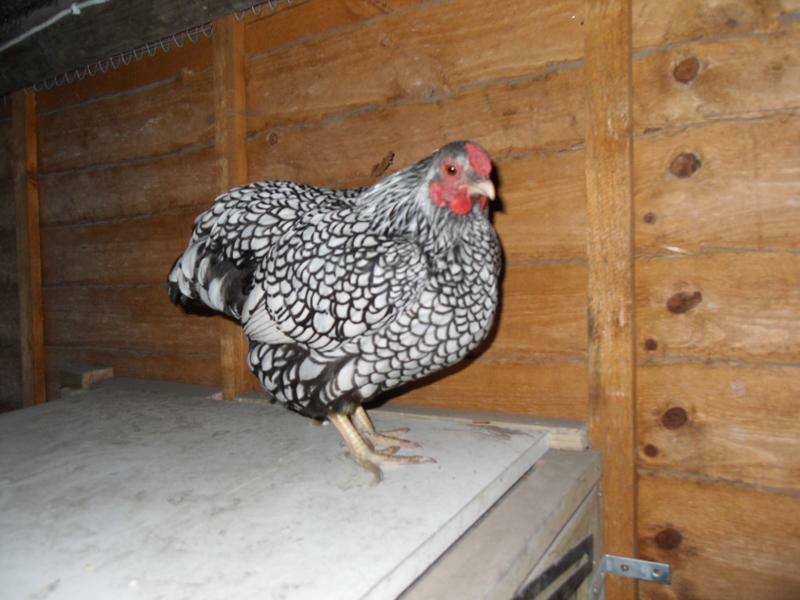 Sparkle is a bantam silver laced wyndotte and was second in command. 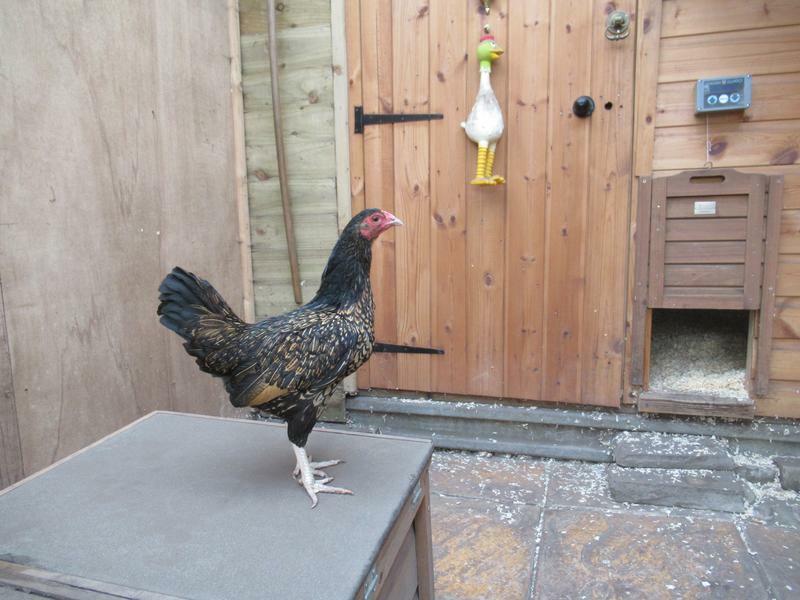 Toffee is a bantam game bird and was number five in the pecking order but eventually worked her way up to top girl. 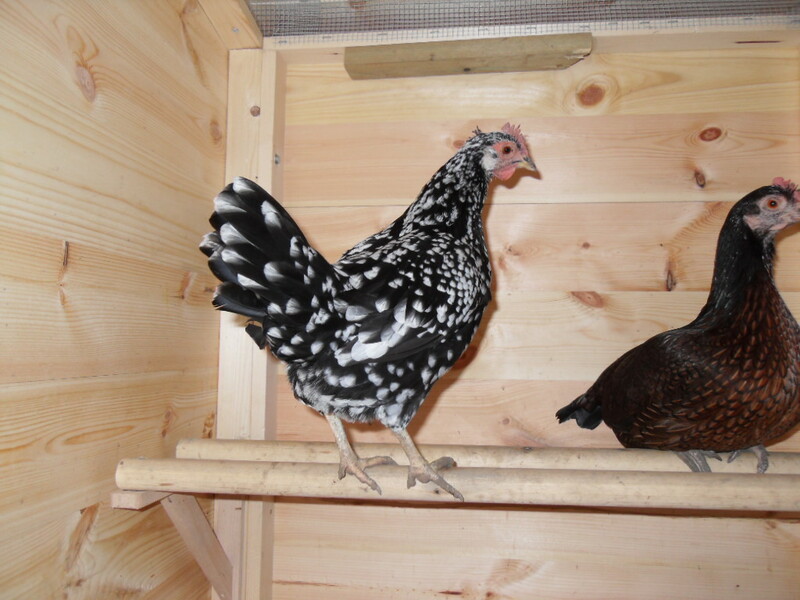 Emerald is also a bantam game bird and is just below Toffee in the pecking order. 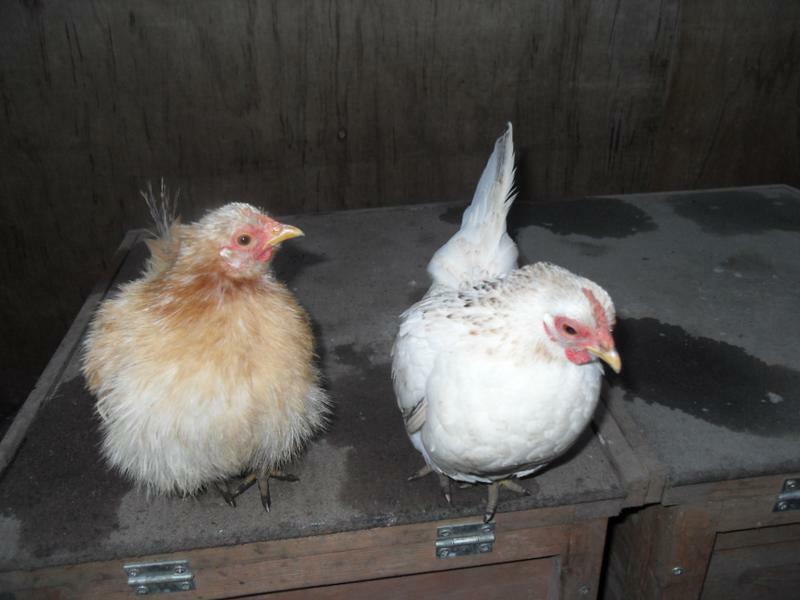 Peaches is on the left and Barley on the right and these girls are bantam brown leghorns. They are only eight weeks old in this photo. Peaches is top girl of this pair and I think they will be in the bottom positions. 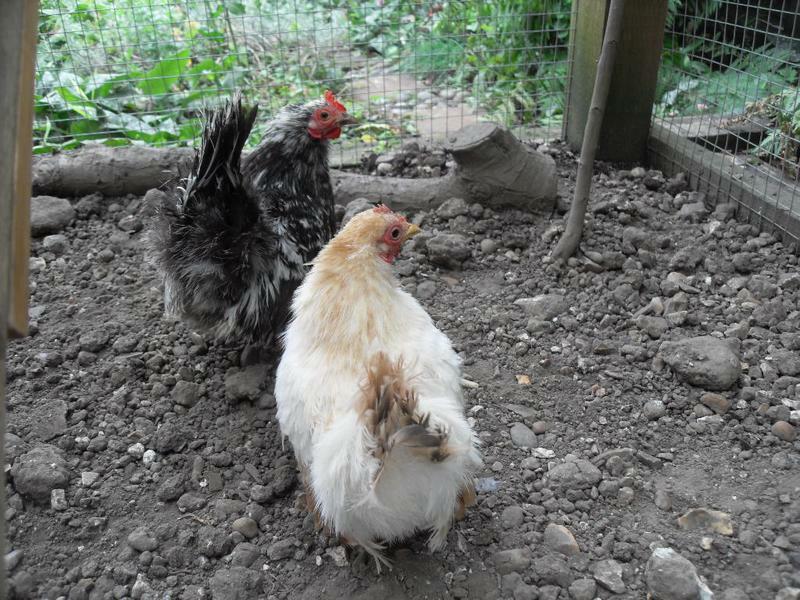 Peaches and Barley are now grown up and laying eggs. They started laying at six months old and Barley started two weeks before Peaches. Peaches has remained slightly bigger than Barley but Barley has a slightly bigger comb and has become top out of these two. And that is my lovely flock of very different little girls. 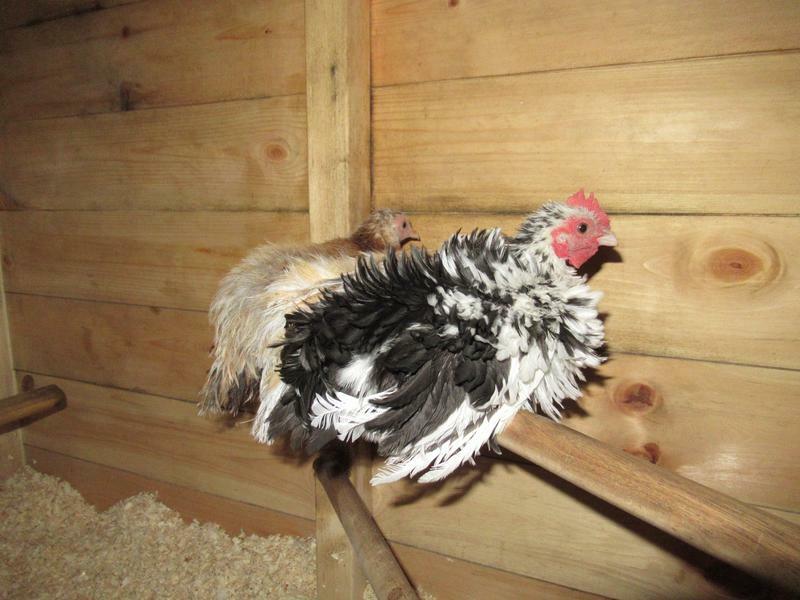 If you would like some information about my bantam breeds you could read about them here. Amber died on 25th April 2015. We had had her for two years. 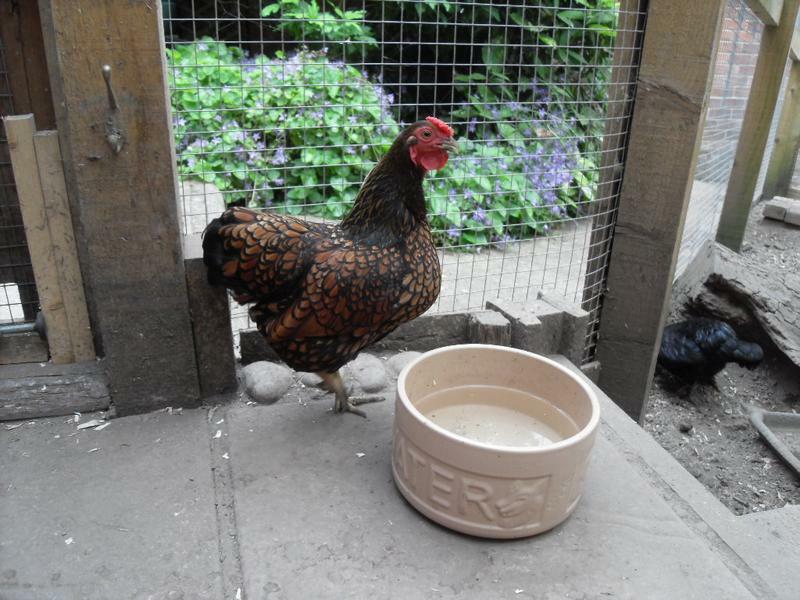 She had always had an egg laying problem but died suddenly overnight after seeming absolutely fine the day before. Sparkle died on 26th June 2015. We had only had her a year. She had a crackle to her breathing and after a visit to the vet had a course of antibiotics. She then laid an egg with no shell and after that stopped eating. After weeks of not being able to get her to eat and her weight dropping I made the the decision to have her put to sleep. After losing two girls the flock felt small so I decided the time was right to add two new girls. On 28th July 2015 I added a goldtop and an ancona and continued with my theme of descriptive names. Butterscotch went in at the middle of the pecking order. She proved to be a really good layer and laid twenty eggs in twenty three days. She then went broody for two weeks and two weeks later she started to moult but to my surprise also started laying again. Speckles was at the bottom of the pecking order and was very wary of the girls and of me to begin with. It would take time to win her confidence. She started moulting as soon as we got her and instantly lost her tail. I delayed updating this page until her tail had grown back. So we were back to eight girls again which felt like the right size flock for us and I loved the new additions. By 15th August 2016 we were down to five girls. We had to re home three girls with Moira at Whitehouse Farm. For more detail about why this came about you can read it here “History of the flock part two“. The time felt right to add two new girls. On 31st August 2016 we added two seramas. We called the buff one Caramel and the grey one Pebbles. They both have silkie feathers. Seramas are not only the smallest bantam breed but the smallest chickens in the world. 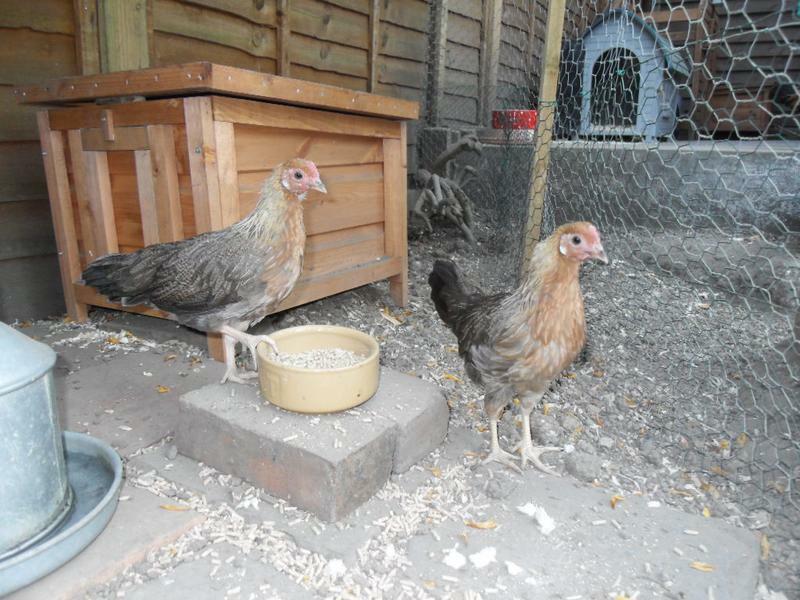 You can read about them here “Some information about my bantam breeds“. These two girls are adorable and a lovely addition to the flock. The flock of seven is a perfect sized flock for our set up and I love having such different breeds. Caramel died on the 20th of September 2016 after only being with us for three weeks. She had a closed eye and I had been treating her with antibiotics, painkiller and eye drops. Eventually her second eye closed too and she was having difficulty breathing. I had to make the heartbreaking decision to have her put to sleep. I didn’t want Pebbles to be the only tiny girl left on her own in the flock so I searched for another breeder of seramas. On 25th September 2016 we added Rusty and Freckles. They were four months old. Rusty has silkie feathers and Freckles has straight feathers. These two very quickly settled into the flock and are adorable. We were, once more, back to a flock of eight. Toffee died on November 30th 2016. She was our first girl to die from old age. 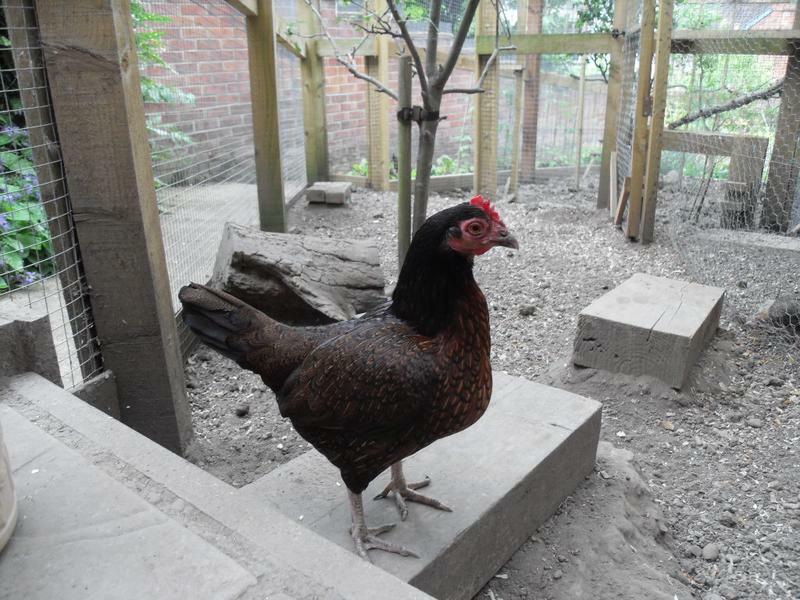 She had taken to spending her afternoons in the chicken shed and perching in the run for the mornings. She was refusing to eat and her poop was bright yellow. I researched this and it suggested a kidney problem. As her weight dropped it seemed the kindest thing to take her to be put to sleep. Her veins were very thin indicating her blood pressure had fallen and the vet agreed that she probably had a kidney problem. It was so sad to lose one of our oldest girls and such a lovely gentle character. Pebbles died on December 7th 2016. She had been wheezing and had been on the antibiotic baytril for three weeks with no sign of improvement. I took her back to the vet and that day her eyelid swelled up like Caramel’s and she was foaming from the eye and struggling with her breathing. These are the symptoms of mycoplasma and we realised that must have been what Caramel had. I had her put to sleep as I couldn’t watch her suffer like Caramel and I couldn’t risk it passing on to the rest of the flock. The vet gave me tylan to put in the water for five days for the rest of the flock to give them protection from mycoplasma. We were once again down to a flock of six. This had been a terrible run of bad luck and I decided to wait until the following spring before adding any more girls to the flock. I waited until the frosty weather was behind us and the temperature started warming up. We got three more seramas on 25th February 2017. 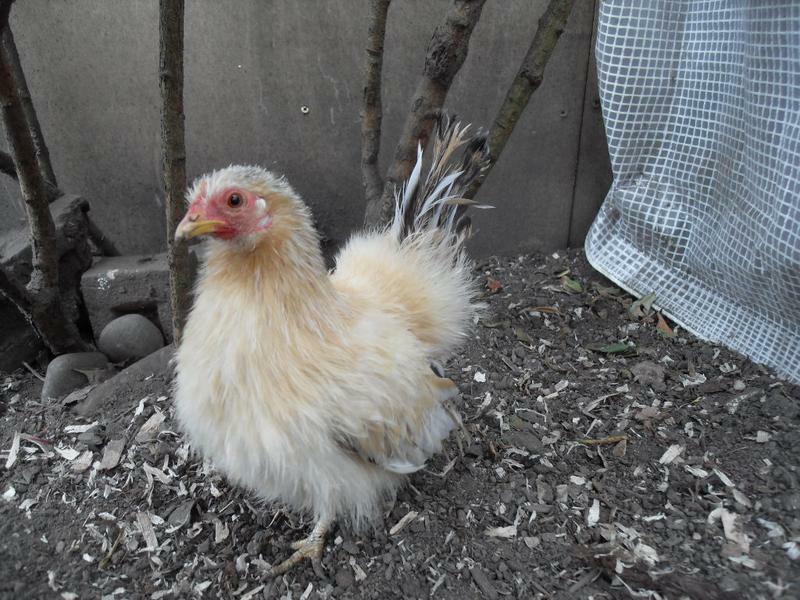 We have Dandelion, a frizzle feathered girl, Apricot who is a silky feathered girl and Cinnamon who has straight feathers. It took six weeks to get them integrated as Rusty and Freckles were really aggressive with them until the pecking order was established with Rusty being top serama followed by Freckles. When we could no longer call them new girls we named them the three amigos as they always stick together. Dandelion and Cinnamon are especially inseparable. 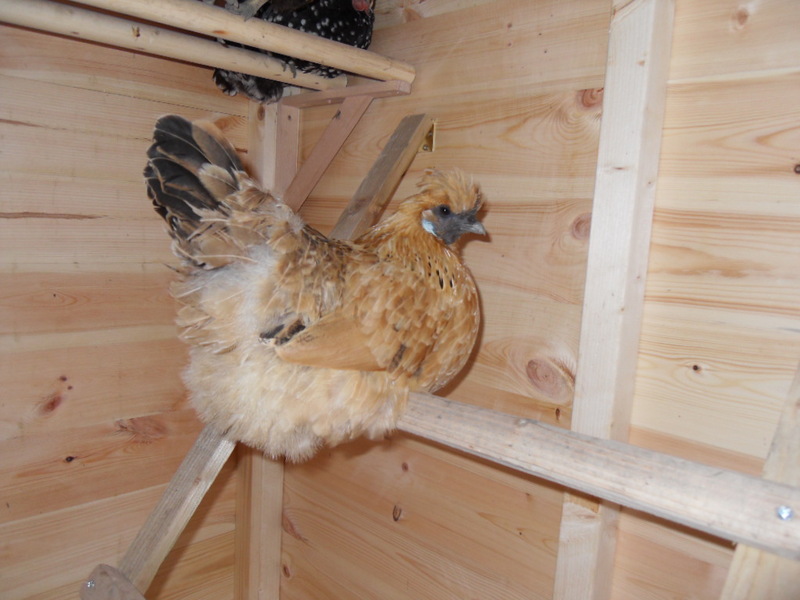 Cinnamon is a tiny girl and is much smaller than Freckles, our other straight feathered serama. Apricot was really friendly from the start with Dandelion and Cinnamon being much more shy. Now for the first time we have a flock of nine. We hope the flock will be stable and settled for a good while to come. 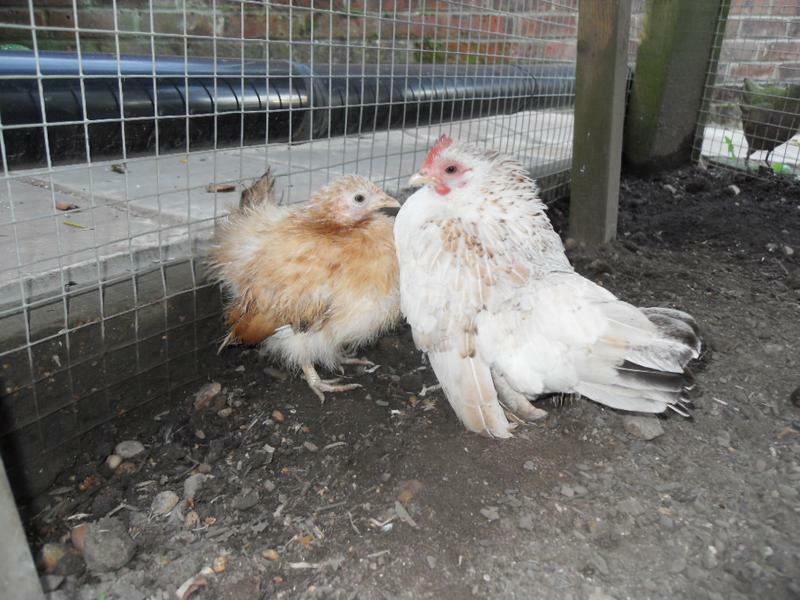 We re homed Peaches and Barley to our friend Moira on her free range farm on 19th May 2017 as they had started feather plucking. They were plucking Speckles head, neck and bottom. They were also bullying the little girls. I felt that I couldn’t risk feather plucking spreading through our flock. Sadly we lost our sweet Rusty on 30th September 2017. She had had a prolapse in August and I took her to the vet to have it put back in. She then didn’t lay for five weeks. 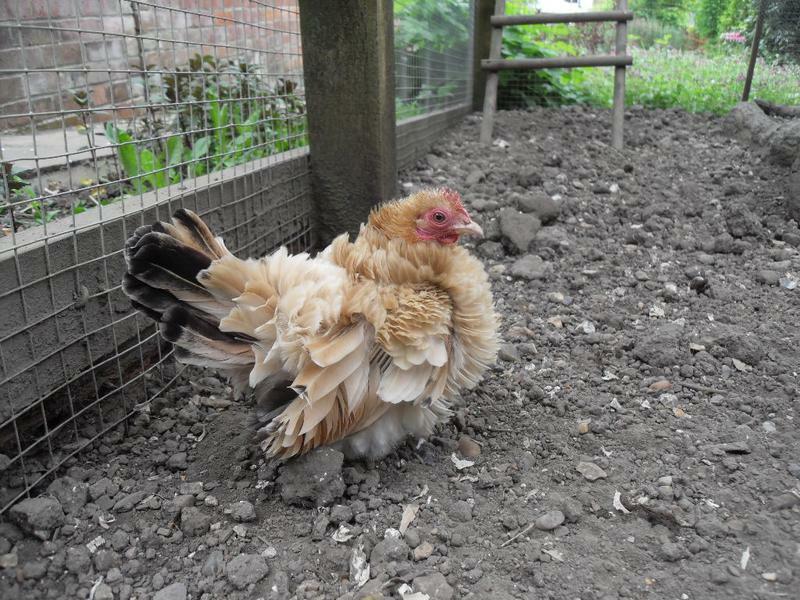 She resumed laying and after two weeks she had another prolapse after laying her fifth egg. I took her to the vet again and they put it back in and gave her a stitch to hold it in place as she kept pushing it back out. She died in her sleep the next morning. She was with us a year and was such a lovely character. She will be very much missed. We are now back to a flock of six. Sadly we lost are lovely Apricot on 9th April 2018. She had seemed absolutely fine the day before, running around, eating spinach from my hand and with a red face and comb. She went to roost in her usual spot next to Dandelion in the evening. In the morning I noticed her missing as soon as I went into the run. I thought she may have gone into the chicken shed to lay her first egg of the year. I looked in the shed and found her dead in front of the perch. I examined her and couldn’t see anything wrong with her. It was a mystery. We had only had her a year and she was just under a year and a half old. She was such a cute, friendly and pretty girl, a real favourite. I was so sad to lose her and she was our last silky feathered girl. She will be so very much missed. We are now a very small flock of five. On May 20th 2018 we added three, two month old seramas to the flock taking our flock up to eight. 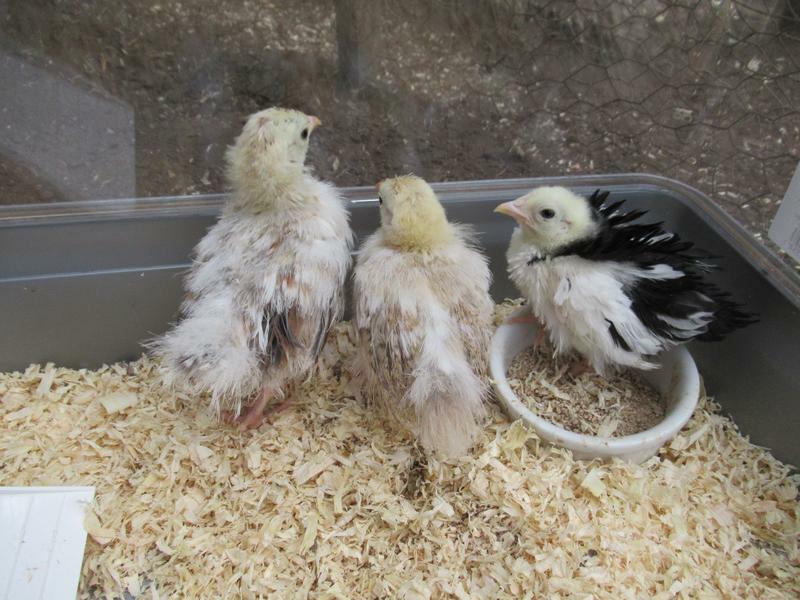 We got two silkie feathered girls and one frizzle feathered girl. This meant we now had two of each feather type in our flock. 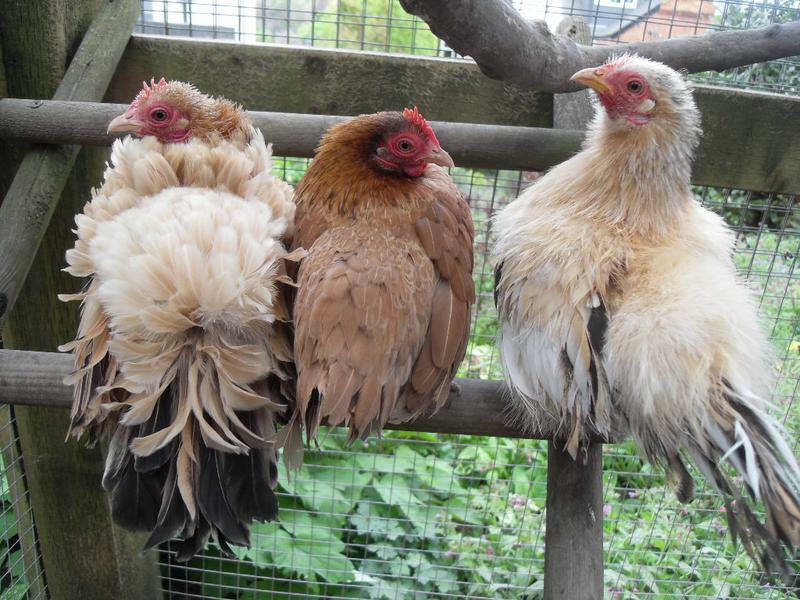 Keeping with my descriptive theme on names I called them Lemon, Jasmine and the, frizzle feathered girl, Blue. They were so tiny that I had to start them off in a hamster’s cage. They were an adorable addition to the flock and we knew that they would soon grow. Sadly on 3o/6/18 I had to have Freckles put to sleep. She had been laying soft shelled eggs and had prolapsed with an egg partly trapped inside her vent. Despite cleaning her, removing the egg and replacing the prolapse she didn’t recover. She wasn’t eating and was sitting with her eyes closed so I couldn’t let her suffer any longer. It was heartbreaking to lose another girl a week later. On 8/7/18 Emerald was put to sleep. Emerald had been feeling her age for some time. She was around six years old. She stopped eating and grew very weak. I could only get her to eat chopped grape and took her to the vet. The vet examined her and found a large, hard, lump behind her abdomen which she thought was a tumour. It was so sad to lose our beautiful, gentle and favourite girl. 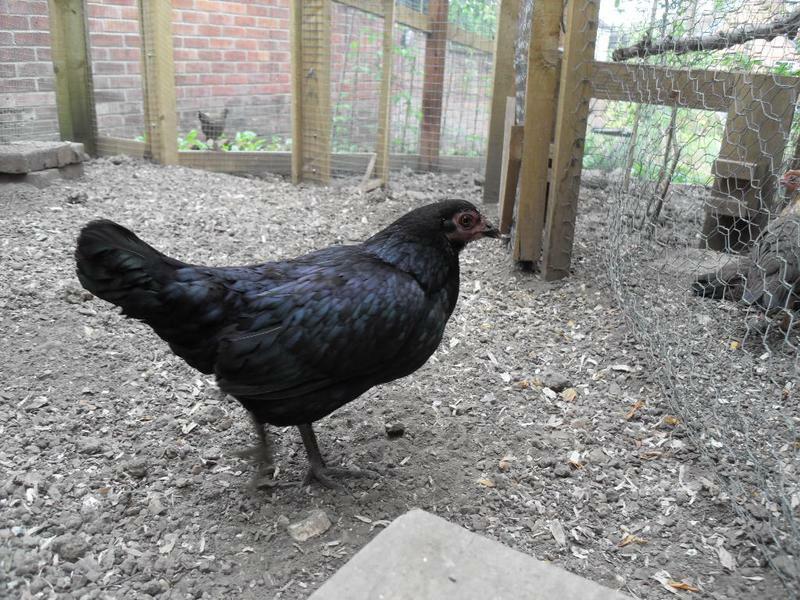 A week later on 15/7/18 I contacted the breeder that we got Emerald from to see if we could get another black game bird as a companion for Speckles. 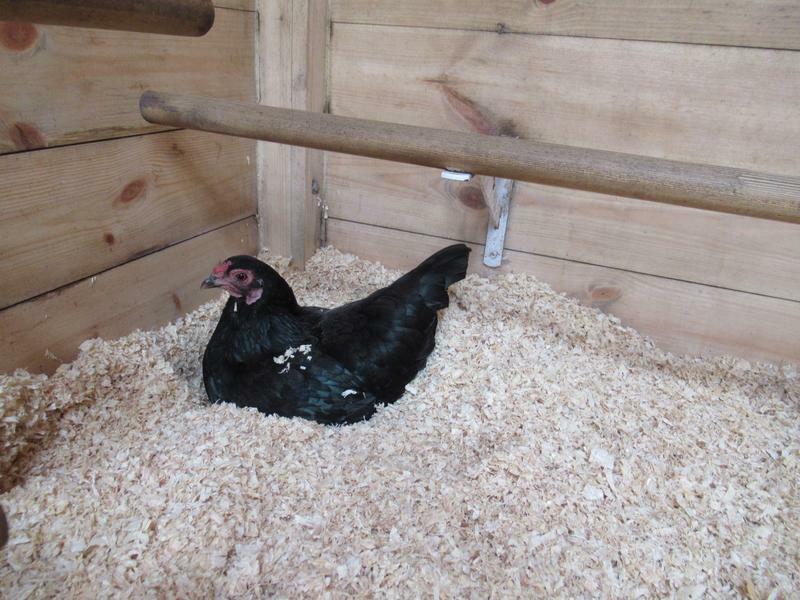 We collected Ebony and she settled straight into the flock and even laid an egg on her first day. I showed the farmer photos of my flock on my phone and explained that I had bought what was supposed to be three hens but one turned out to be a cockerel and he had woken us up at five o’clock that morning. I said that my neighbours would not be happy and we were worried about complaints. He said that his job as a farmer meant that he was used to culling cockerels and we could take Blue to him if we wanted to. It was a heartbreaking decision but because of the mycoplasma in our flock re homing wasn’t possible. We have to stay positive and look forward and Ebony has brought back some joy to our flock in what has been a sad time. Five days later on 19/7/18 we decided to add another game girl. 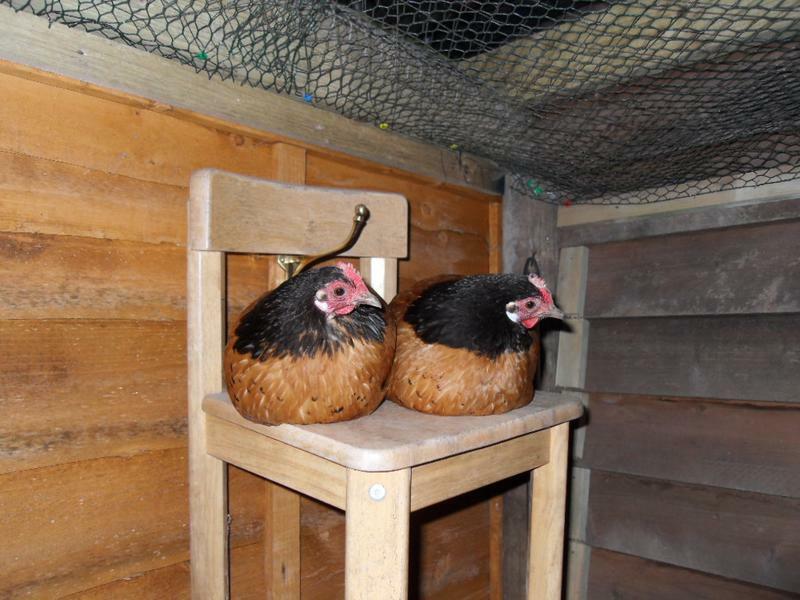 If we had bought two in together they would have been bonded and Speckles would still have been on her own. We felt that bringing them in one at a time meant all three girls were on an equal footing. We called her Flame because of her stunning gold feathers. Ebony was the only girl to chase her a bit. 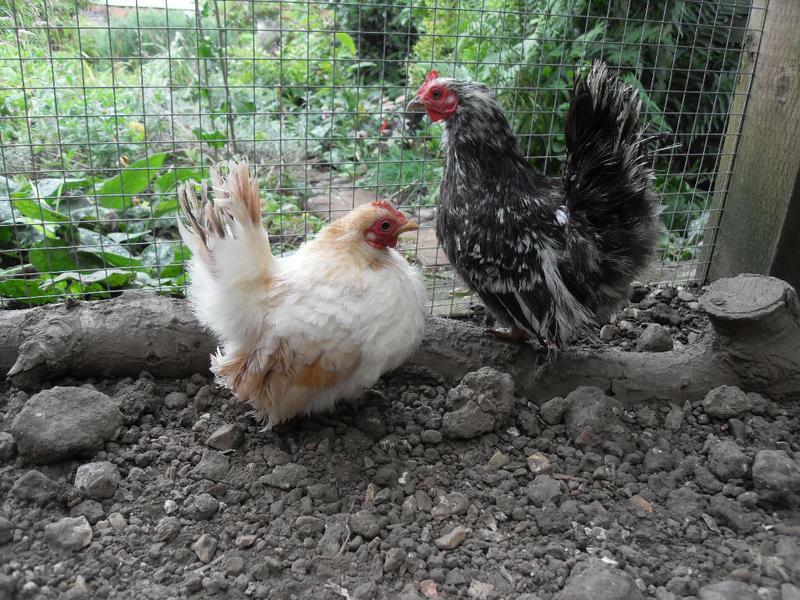 She had been bottom girl, apart from the chicks, for five days and was making sure that Flame was now bottom girl. Once they had established that they got along fine. The flock was now a happy seven. On 22/8/18 we added another five seramas. They were all straight feathered girls in assorted colours and were two and a half months old. I continued with my theme of descriptive names. On the left Marmite with Salmon next to her and Vanilla behind her, then Smoke and Spangle on the right. On the left Smoke then Spangle then Salmon then Vanilla and then Marmite on the right. Within five days they were integrated with ease. We were now a happy flock of twelve. Sadly on 13/4/19 we had to have Dandelion put to sleep. She had been struggling to lay her eggs and on this day she was sitting with her eyes closed and struggling to breath with her chest bobbing up and down. Dandelion was such a lovely girl and is very much missed. I think they are just perfect and lovely to see a description of each pair and their breed which before I was not sure about . Oh thank you. I must admit I love all these breeds and they are all such characters. Are you adding your new girls? 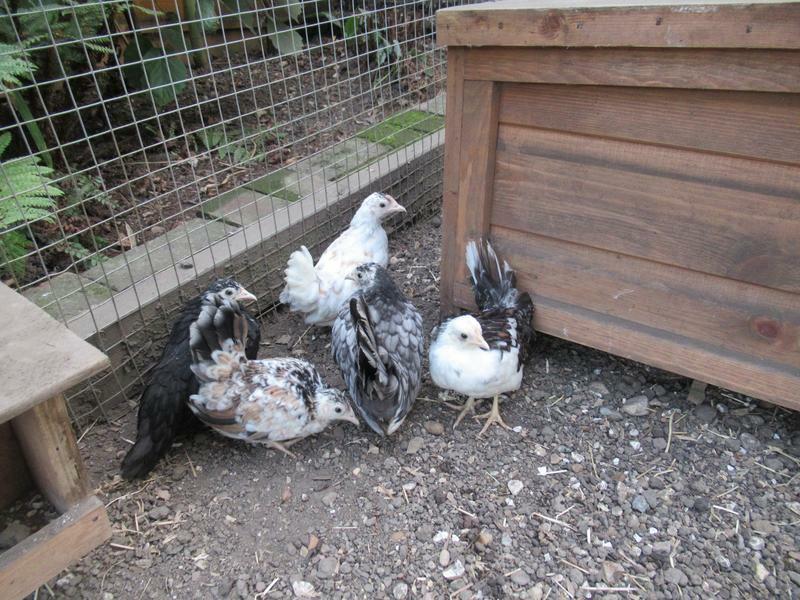 I am going to add my new girls but no sooner did I get them when Speckles started moulting and lost her tail. I want a good photo of each and have been waiting for her tail to come back. I am also unsure if I should start this as a new page because otherwise it will just get longer and longer. What do you think. It doesn’t matter, I don’t mind if it gets longer. I would say get rid of your past girls, but then again I like seeing them still in the page…so that part is up to you! I agree that you’d want to get good photos of the girls too. I think what I will do is continue on with “Meet the flock” and “My bantam breeds” as they are not quite so long but end “The history of the flock” where is it and re-name it “Part one”. 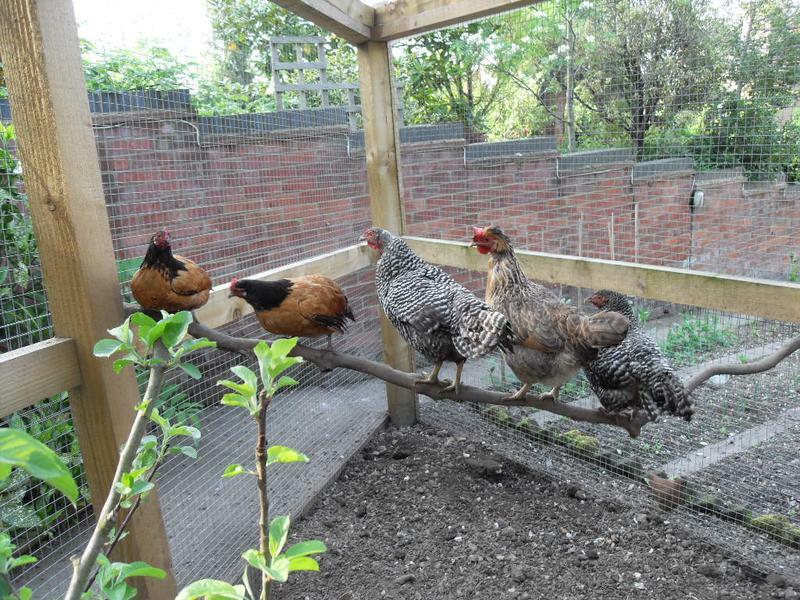 Then start another one as “part two” and start with a group photo of the six bantams then add the two new ones. That way the first history is big girls, followed by a mix of big girls and bantams through to how I ended up with all bantams and the second history will be the continuation of my bantam flock. I do want good photos though as they will stay there and I don’t want it to look like ancana’s have short or no tails. I wish it would hurry up and grow so that I can update. I think it’s about half way now. Watch this space….. I will update when Speckles is ready.